Aspect Hits Time Map is a graphical representation of the aspect hits list generated by the Aspect Hit view. The characters for Entering (E), Exact (X), and leaving (L) are the same as used in the Aspect Hits View table. Similarly, the characters for secondary progressed (p), radix/natal (r), transit (t), Solar Arc (d) are the same as used in the Aspect Hits table. 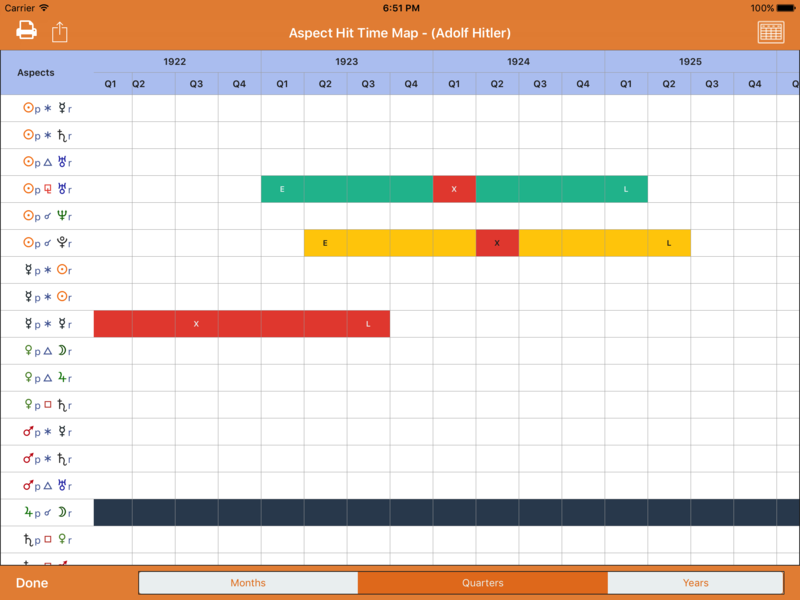 The Time Map and Aspect View Hits can be used with your charts and provided charts. 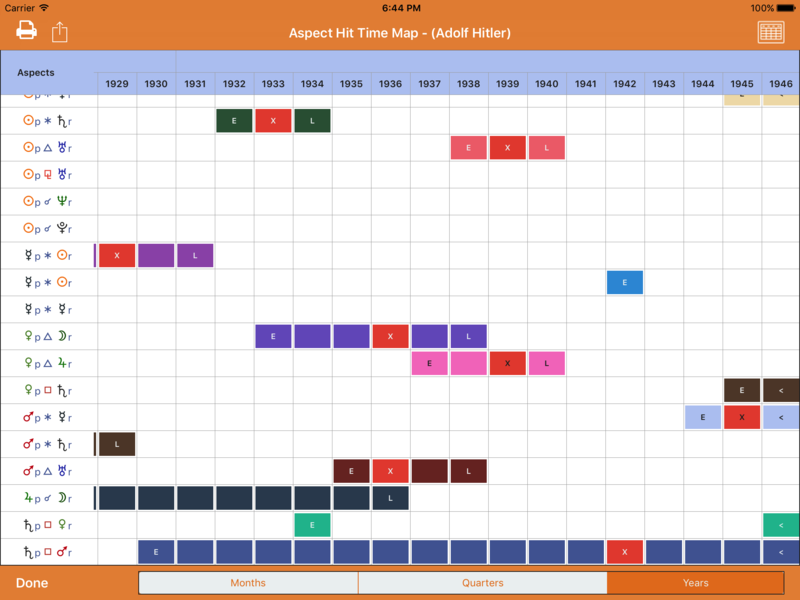 The Time Map view can only be accessed from the Aspect Hits View. 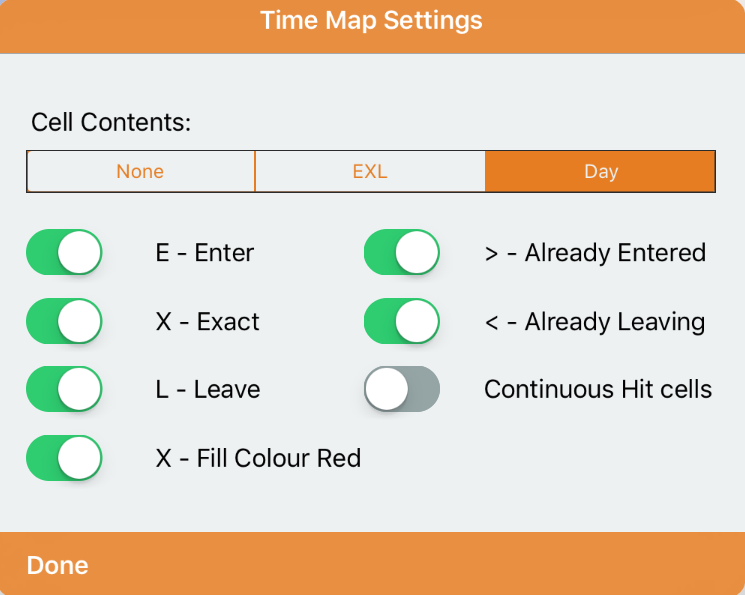 The Time Map will only be shown if some aspect hits have been calculated. Swipe left or right to view all the horizontal cells. Swipe up/down to view all the vertical cells.